As evening begins to fall and our tour nears its end, we find ourselves at the little cemetery of Somer Farm, on the north eastern outskirts of Wytschaete. 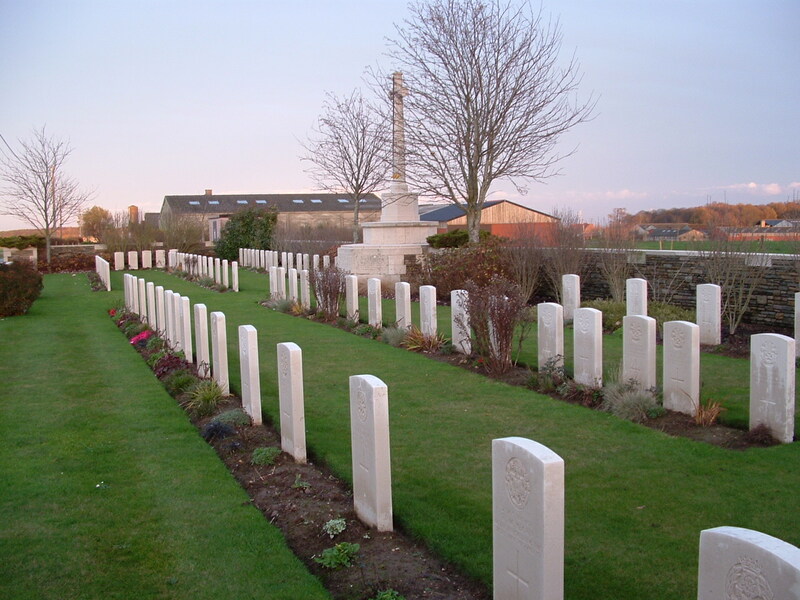 The cemetery was begun at the end of June 1917, used until March 1918, and then again in October 1918, and consists of just three long rows of headstones, with a number of special memorials along the eastern boundary in the background. The Germans had built a concrete observation post and command centre within the farm buildings that once stood nearby, which the British then used as a Battalion headquarters after their capture in June 1917. Australian graves from December 1917 & January 1918 in Row B in front of the Cross of Sacrifice. The Australians took over from the British in mid-December 1917 and remained here until the Germans regained the whole Messines Ridge as they pushed west in April 1918. 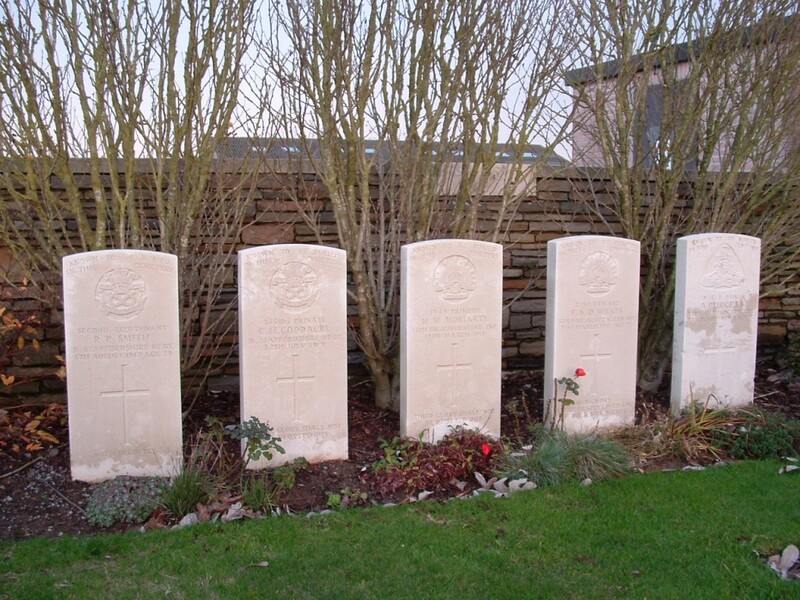 More Australians, all men of the 53rd Battalion, killed in March 1918 and buried in Row A. I presume that the four men buried beneath the two headstones to the left were all killed together. A lone Royal Irish Regiment burial from October 1918 in Row A. 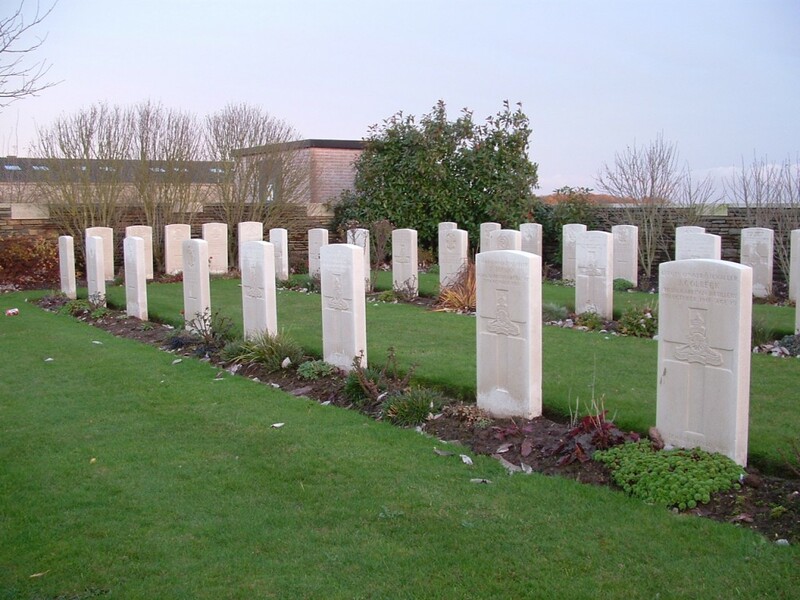 Slightly more than half the 91 burials here (just one is unidentified) were made in 1918, 28 in October alone. 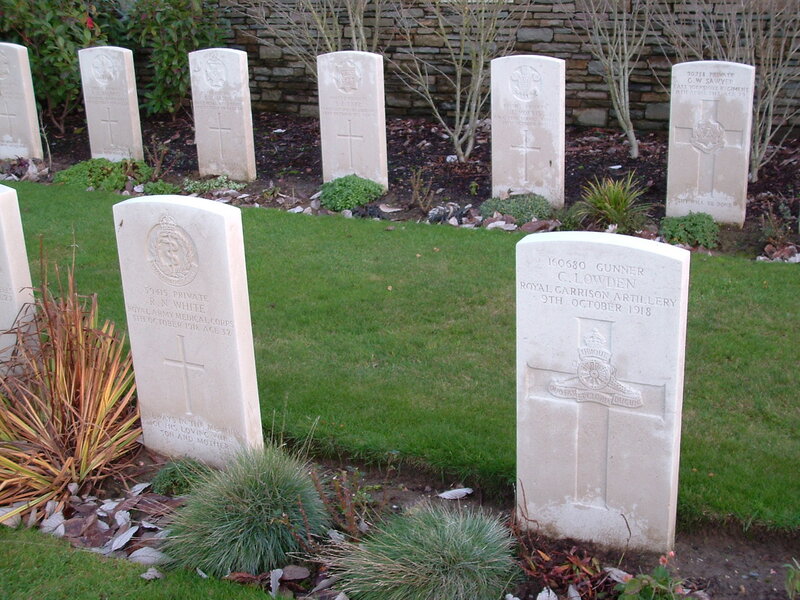 Men of the Royal Garrison Artillery in Row A, killed in early October 1918. Looking west down the length of the cemetery towards the setting sun. We’re going to lose the light very soon, and we still have two more stops to make. Better be going. Thank your for these lovely photo’s of Somer Farm. My great uncle John Henry Heward is buried there. Now I have found where he is buried we hope to visit soon. RIP all buried there. Remembering them especially today on Remembrance Sunday 2013. For many years I had been involved with researching the lads of Somer Farm Cemetery, with a close friend of mine and crippled Vietnam Veteran, Peter Jones, of Woollongong, NSW, Australia. I may be able to give you some information which you don’t have? You are most welcome Penny. As I hope the photos convey, Somer Farm was a wonderfully peaceful place when I visited. Hey, thanks Mim. Glad you found this little site of interest. And how sad your story. Thanks for sharing it. Thanks Isobel. Somer Farm is a beautiful little cemetery. Glad you were able to visit it. For many years I had been involved with helping my close friend and crippled Vietnam Veteran, Peter Jones, research the men of Somer Farm Cemetery. Sadly Peter died last November (2014), and now I feel I have to carry on with the research in memory of my frend. If you have any information, photographs etc., of Robert McKeown, I would be very keen to contact you. Nice to hear from you. If you go to my business address at http://www.militaryandfamilygenealogy.co.uk you will find my contact details there. I have visited Robert McKeown’s grave on numerous ocassions, and I think I have a photograph of his grave which I will be only too happy to send to you. Do you have any biographical information about him? Hi, Robert was my great Uncle also and I visited his grave In October 2014. Apparently there was a dressing station here and he was carried here by my grandfather( his brother) after being injured. I also visited Thomas grave, when I was in belguim. My graney married joseph mitchell, my mum was mitchell, I live in omagh. Thanks very much for your story Shane. 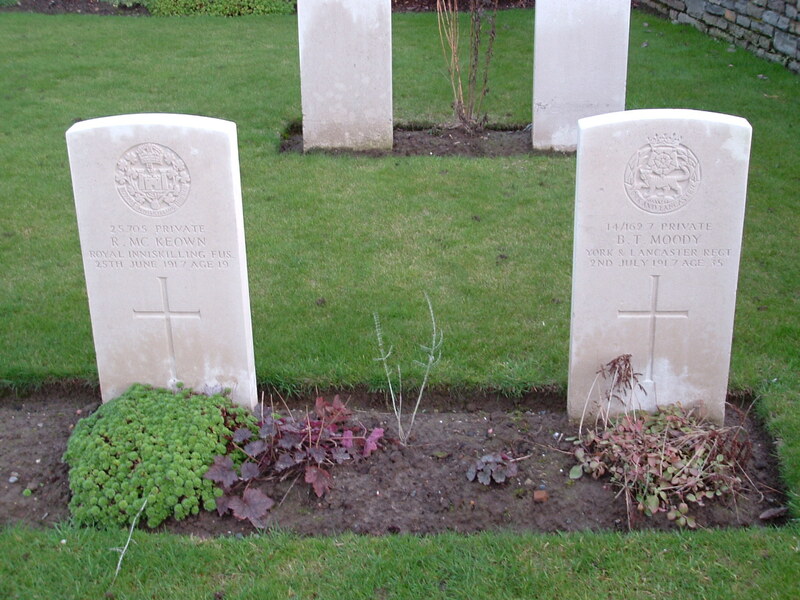 As you’ve seen, Merion Morton Moriarty’s headstone is pictured above, although the exact location of his grave is no longer known. Take good care of those diaries. Precious things indeed. I have images of Merion Morton Moriarty, and eye-witness statements with regards to his death. I was, for many years, involved with researching the men of Somer Farm Cemetery, with my close friend and crippled Vietnam Veteran, Peter Jones, and have inherited a substantial amount of information on these boys if I can help. Thanks for an excellent site, Magicfingers. Most kind Peter. Delighted to see Isobel has already contacted you. I hope others do too. Let me know if there’s anything I can do to facilitate. By the way, did your friend ever get to see the photos on my site (I’m guessing not, but thought I’d ask)? Hello Magicfingers. 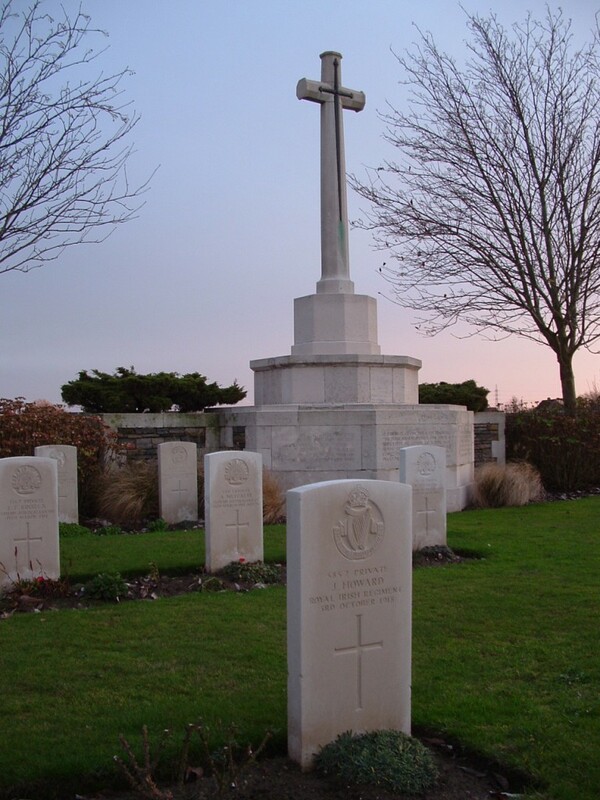 No, I don’t think my friend did see your photographs, but I am certain that he would have liked them very much, as he was keen to communicate with anybody who had an interest in Somer Farm Cemetery. 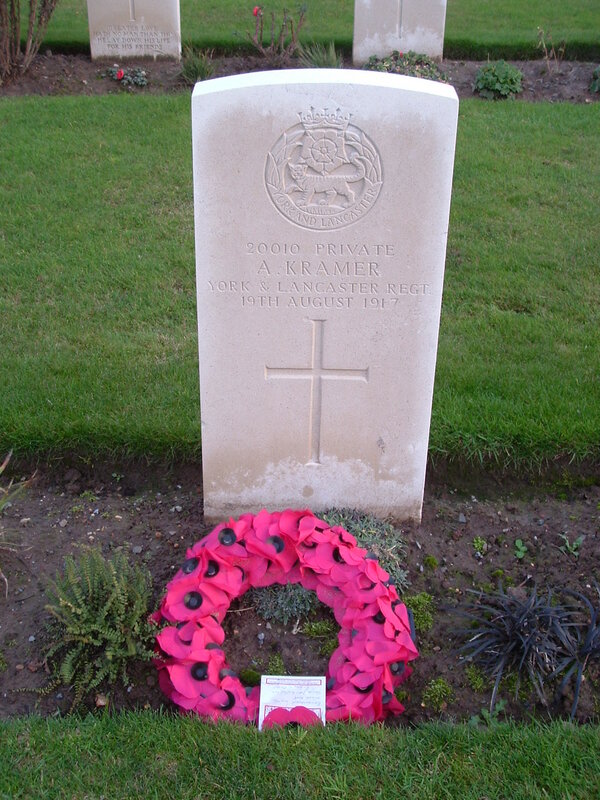 His goal was to research the lads of the cemetery, it’s history (the casualties of Somer Farm Cemetery No.2 are actually in Whytscaete Military Cemetery), and the action’s around the locality of the cemetery between June, 1917 – October, 1918, and of course the post-war development of the cemetery. I came into the project very late, after Peter had researched all of the Australians, including his Grandfather, Wallace Alfred Jones, 53rd Bn A.I.F. His problem was geographical – he could not easily access documents, newspapers etc., for the UK casualties, and so I began to get involved (on top of writing a book, holding down a job which I am getting made redundant from, and co-running a military genealogy business. If I know Peter like I think I know him, he will be extremely pleased with what you have done with the brief intro into the cemetery. Thank you. Thanks again Pete. Most interesting. 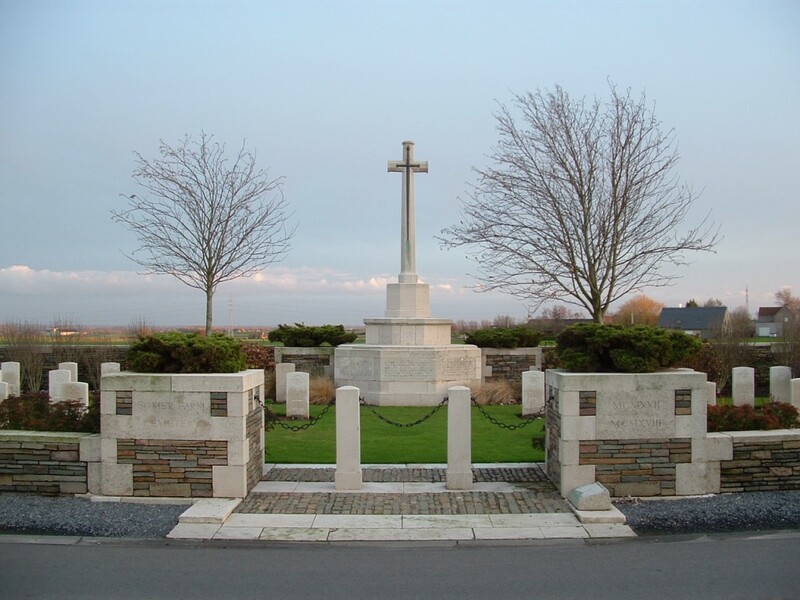 As you may have gathered, this post is Part 14 of a tour of the Messines area; Wytschaete Military Cemetery is where the tour starts. 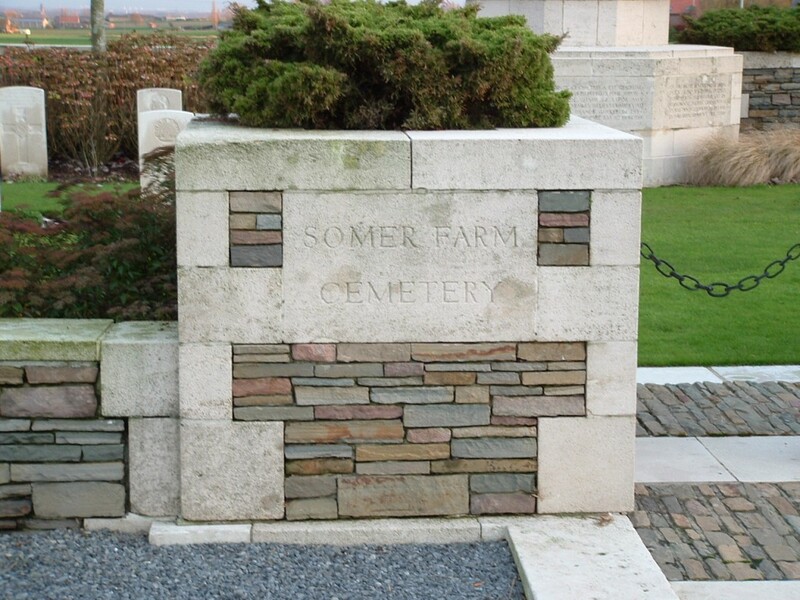 I’d be interested to know where the Somer Farm No 2 burials are in the cemetery – I could probably find out but I’m being lazy, particularly as I suspect you may well know the answer! Sod’s Law dictates that it’ll be a section of the cemetery I didn’t photograph! Sorry to hear about the redundancy, delighted to hear that you think the other Peter would approve of my site, and intrigued about the military genealogy business. And the book. All the best. Thanks again for commenting. I can;t remember the plot no.’s etc, but here are their names: 17655 Pte H. L. Morse, Gloucesters; 23689 Pte A. Clark Gloucesters, 37068 Pte J. H. Millward, Gloucesters, 39933 Pte A.A. Baker Worcesters, 42596 Pte William H. Harmer Worcesters, 29682 LCpl G. H. Webb Worcesters, 1x Unknown Worcesters, 19604 Pte G. Morear KORLR, 27462 Pte A. Smith KORLR, 25367 Pte T. Stainton, 1x Unknown KORLR, 34931 Pte J. Telfer North Staffs, 36482 LCpl H. R.Townshend East Lancs. 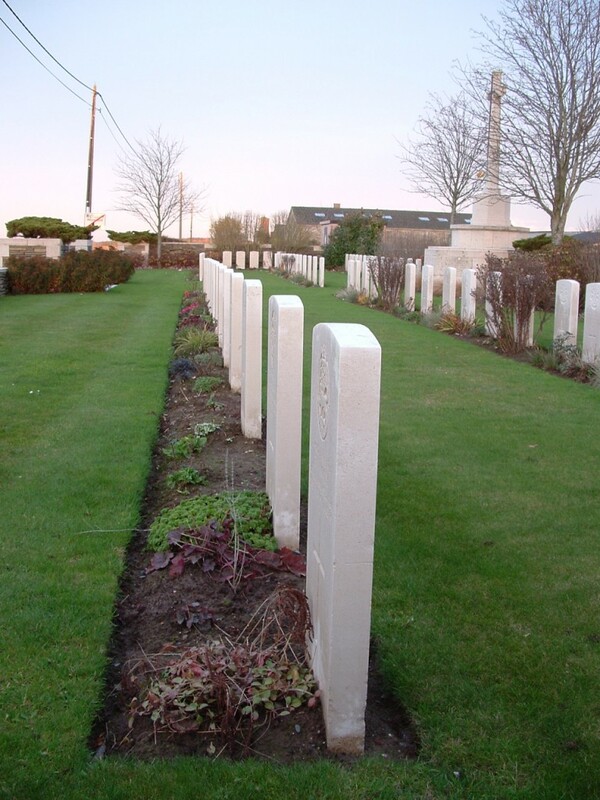 They are buried in the plot to the right as you walk down the steps into Whytschaete Military Cemetery. My business is called Military & Family Geneaolgy, which I co run with my business partner, Judith Beastall. We specialize in researching clients relatives who served in the military between the start of the Boer War and the end of the Second World War, and compile biographies on said relatives. We also do family tree’s for clients. The book I am in the early stages of writing is about my local Pals battalion – the 13th (Wirral) Bn Cheshire Regiment. Cheers Pete. Thanks for the soldiers’ names. I was right, of course; I don’t appear to have any close-ups of that section of the cemetery! The Wirral Pals, eh? I recently visited Serre, where the Accrington, Barnsley & Bradford Pals were slaughtered, for the first time, but I have to say that I know far less about the Cheshires. One day, by the sound of it, I shall learn more. The sad thing is that the story of the Accrington Pals is tainted by myth and legend. They suffered heavy casualties, but were not wiped out, as some historians perpetuate. The Wirral Pals had their “1st July” on 7th July, 1916, when they attacked the village of Ovillers, from the northern end of La Boiselle. They suffred 261 casualties, of which 111 were killed in action. Ah. I visited La Boisselle recently but didn’t have the time to visit Ovillers Military Cemetery, where I notice some of the 13th Battalion are buried. Just a few long distance shots from the main road. Another time. Visited Somer Farm a couple of weeks ago and laid a poppy wreath for great uncle Frank Godden, one of the group of four RGA lads killed together 9/10/18. They were part of 245 siege battery that died while resting in a shelter, somewhere towards Bousbecque. But I was disappointed not to find a visitors book at this cemetery. Don’t they all have them? Hi Mick. As you can see from the comments above, there’s a lot of interest in Somer Farm Cemetery. To answer your question, most have a Register and Visitor’s Book, but not all. Usually, however, it is cemeteries with smaller numbers than this that don’t have them, and in these cases the Register is usually kept elsewhere (often at another, larger, nearby cemetery, where there will also be a Visitor’s Book). 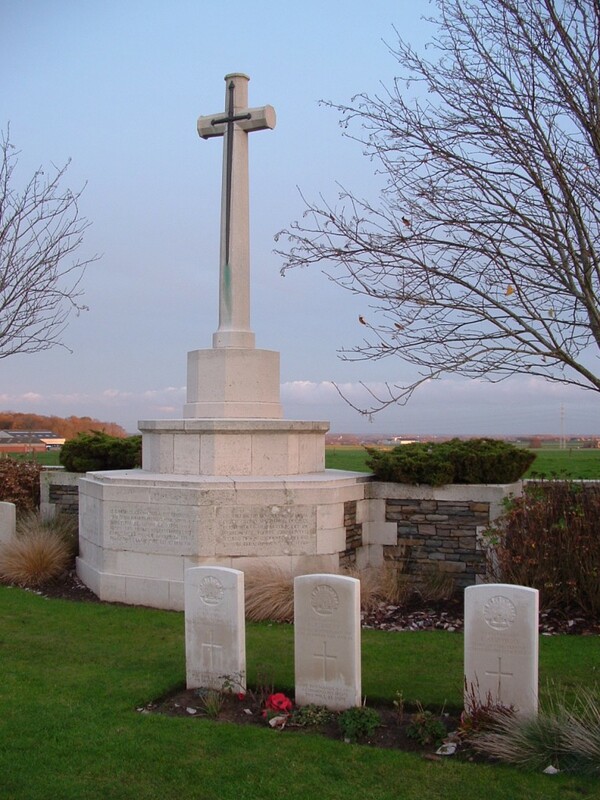 I presume the CWGC could tell you more about this with regard to Somer Farm. Have a wonderful trip Sarah. 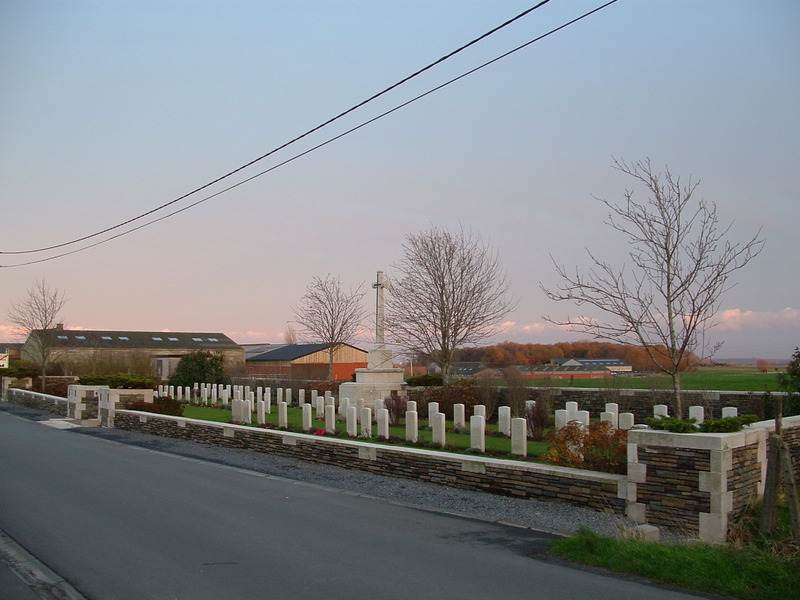 You’ll find New Irish Farm Cemetery elsewhere on this site. Use the search box. hello I have photos of my great uncles Robert and Thomas. I went to their graves in Nov 14. 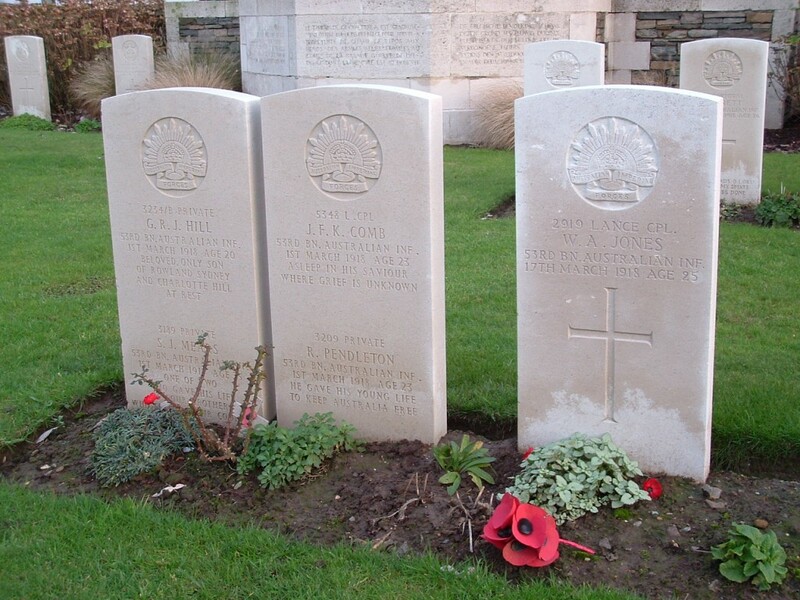 My great-uncle was Frederick Austin Davis Wilkes, KIA 21 March 1918, one of the 5 whose graves were lost in subsequent fighting. 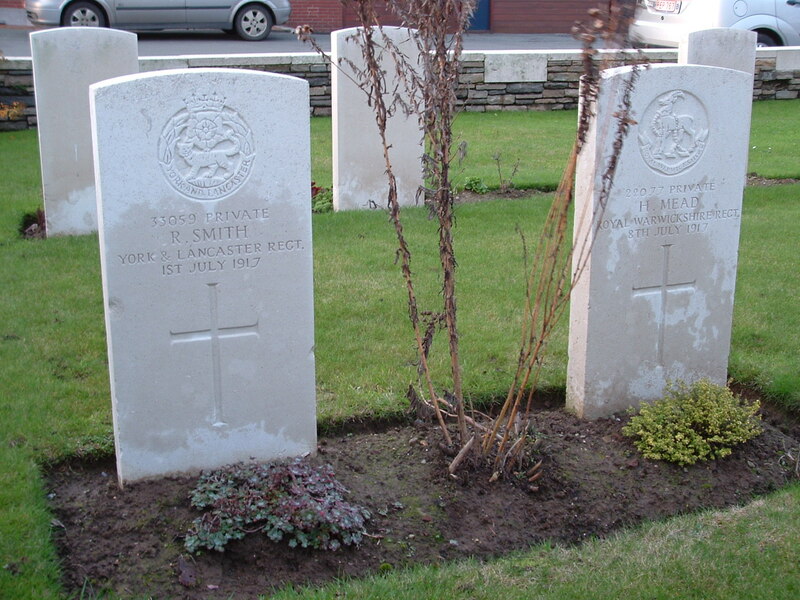 His brother (Walter Thomas) served with him, and was there when he was killed. Thank you so much for the photos – they make a stark contrast to the one I have from the Australian War Memorial, taken at the time. You are very welcome Kim. I see your Great Uncles headstone. Thanks ever so for taking the time to comment, and I am glad you like the photos. I was heartened to find this site today on the eve of the 100 years’ anniversary of the end of WW1. Thank you very much for your work. 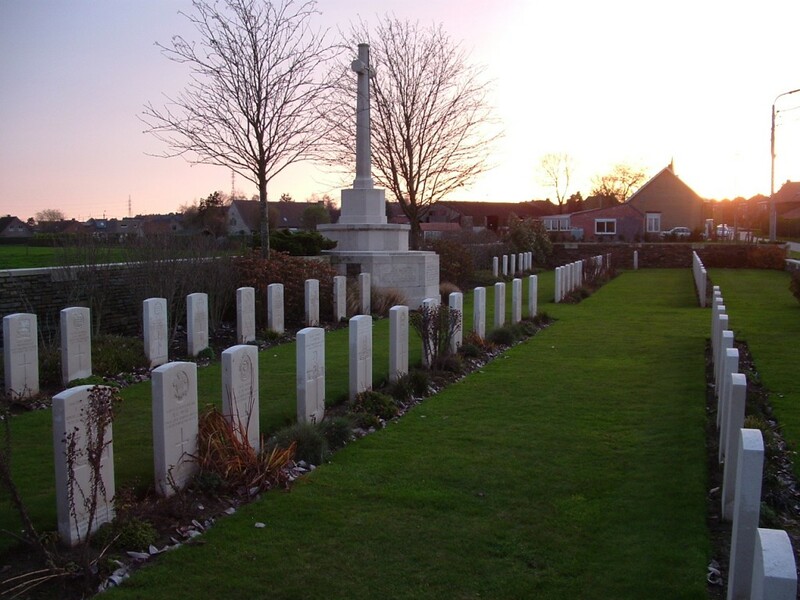 My husband’s great uncle, Arthur Charles Metcalfe, from the 55th Battalion, was killed in action on 16 March 1918 and correspondence in the National Archives of Australia files which have been digitised for him indicate he was buried in the Somer Farm Cemetery, Cem Plot 1, Row B. He was the only son of Thomas Abraham Metcalfe and Sophia Carr. Arthur’s widow remarried around 1921 and sadly it appears his father was not able to obtain his war medals. The Army Base Records were apparently to try to send him a photo of the grave. By chance does anyone have such a one please? Certainly a time to remember all those who sacrificed their lives for us. Hello Mary. Arthur Metcalfe is indeed buried in this cemetery, but his grave reference is Row B No 14. His headstone can be seen quite clearly in the second row in the ninth photograph (click the photo once or even twice to enlarge it). Glad you found my site, and thanks for your kind words.